Community Counts Colorado provides a 24/7 Response Line to allow community members a direct resources for resolution of concerns or answers to questions. Call 1.866.442.9034. Community Counts Colorado’s Good Neighbor Training program strives to set the stage for preventative impact mitigation, great communication and quick conflict resolution. Community Counts Colorado provides an online form to allow the public to lodge a query. Get the information that you need quickly and easily with this great online tool. Our rig map allows you to identify those operators currently working in your area. Clicking on a rig will allow you to see contact information for the companies operating at the site. Ursa Resources Group has operated wells and facilities located in numerous states across the US, but has not had the pleasure of working with an organization as great as Community Counts, which is unparalleled in bridging the gap between the community and the oil and gas industry. URSA is proud to be a member and will continue to support Community Counts in areas where it operates. Community Counts is great. After working in the oil and gas fields for 14 years I have learned people don’t know about the energy industry. Community Counts has given residents an outlet for their concerns. The Good Neighbor training taught us to know what our neighbors need. I learned it’s important to be open and communicate with our neighbors. When I first saw the response line signs posted along truck routes, I didn’t know what it was about. When you’re working in the oil and gas field there are always people who oppose what you’re doing. The Good Neighbor training gave us the ability to know how to talk to those people. Without an organization like Community Counts the oil and gas field would have a very rough road ahead of it. I very much support Community Counts. It’s good for the community. If you don’t have something like Community Counts, people don’t know who to call about what’s going on (with the oil and gas industry) or who they can call to respond to their concerns. You can call Community Counts, report a concern and know they will respond quickly. If someone has a problem with loud jake brakes on Battlement Parkway, Community Counts alerts their Operator and Contractor members, then collaborates with municipal and county staff to get electronic road signs up to remind truckers to plan ahead and slow down early to avoid unnecessary use of their jake brakes. I have the Community Counts number in my phone and if I meet other people who have a concern, I give them the number and tell them to call. Community Counts provides a valuable service to Garfield County citizens, namely, timely and effective access to energy operators when questions or concerns arise. The Board of County Commissioners of Garfield County endorses your efforts to educate and provide a direct communication conduit for our citizens to the industry in a collaborative manner, which helps ensure a balanced approach to development of our energy resources. 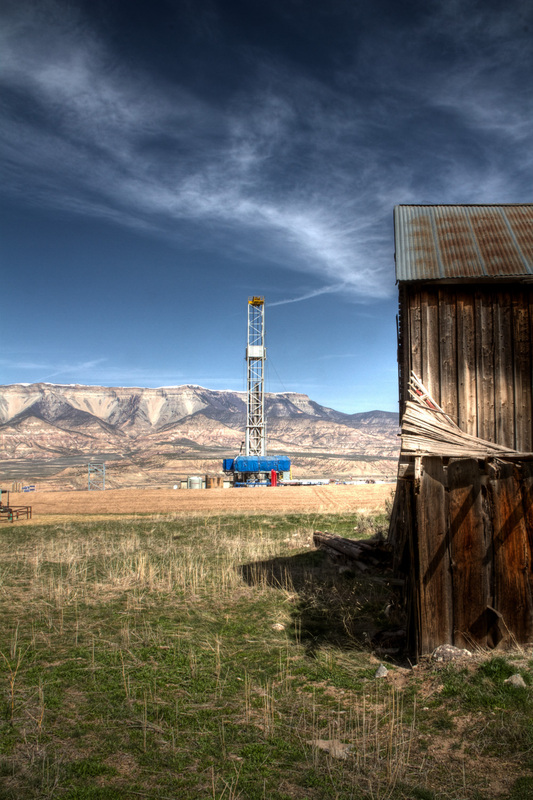 Exploration for and production of natural gas and oil along with the extraction of soda and production of its various products are major industries in western Colorado that provides jobs and economic benefits to the region. Importantly, with this comes the responsibility to be a good neighbor. Community Counts is a 501c3 community-based program designed to offer residents a timely resource for open and respectful dialogue when they have issues, concerns or questions relating to the energy and extraction industries operating in Garfield, Mesa and Rio Blanco Counties. Members of Community Counts strive to balance the economic and social benefits of the industry with the impacts the operations have on host communities and the environment. Key to being a good neighbor is the ability of operators to respond quickly to concerns. In addition, residents need to be informed about activities in their area and know what to expect. Who is the operator of the rig near their home? How can residents contact the operator? How long will the operation take? What can residents do about nuisance factors such as noise, dust, odors or traffic issues? Operators, contractors and service companies, municipalities, counties, emergency responders, local businesses and citizens have joined together to connect residents to the information they need to answer these questions. Click here for The Good Neighbor Pledge our industry partners sign to become a member of Community Counts. There are 9 operators along with the Garfield County Oil & Gas Liaison and the CCC Executive Director that provides a 24/7 on-call contact. When residents call the main Community Counts Response Line number, they can get in direct touch with an operator and receive a resolution to a concern or answer to a question in a timely manner. Operators and their contractors work hand in hand to address and resolve concerns. Community Counts’ staff provide monthly updates to the Garfield County Energy Advisory Board, quarterly updates to the COGCC Northwest Oil and Gas Forum along with reporting up to twice a year to Garfield, Rio Blanco and Mesa County Commissioners to provide accountability to the communities they serve. Check out our rig map for more information on drilling operations in your area. Each point on the map represents a current operation, and clicking on it will allow you to see contact information for the drilling companies operating the rig. The Community Counts’ website is designed to serve as an interactive resource for the community. Comments may be submitted online and Community Counts staff will respond in a timely manner. (Please note that for immediate response it is necessary to call the Response Line directly, 1.866.442.9034 or Nita Smith at 970.712.7317.) Anyone interested in western Colorado’s energy and extraction operations will find a variety of resources including information about Community Counts, its Board, its members and links to resources about the industry that includes our Good Neighbor Certification Program. Periodically, we’ll include information about key issues impacting our area. Community Counts hosts community events from time to time to inform residents about the program and foster relationship building. If you would like to have a community event in your area, or want Community Counts staff or Board members to speak to your group or organization, please contact Nita Smith at 970.712.7317. For upcoming events, view our calendar. For educational topics, go to our resources section. Communication and information-sharing is vital to working together. We look forward to being of assistance if you have concerns, need information, or would like to become a member of Community Counts.